In 1989, burdened by the plight of Philadelphia’s homeless population, he and his wife Donna founded Restoration Ministries, a non-profit created to serve homeless families and children living on the streets. In 1994 he became Director of the Internship Program at Cornerstone Christian Academy. Licensed and ordained at Mt Zion Baptist Church, he served as Youth Director with Donna, and as the Associate Minister of Evangelism. In 1997, he joined FCS Urban Ministries in Atlanta, GA and worked with the Atlanta Youth Project as the founding Executive Director of Atlanta Youth Academies, a private elementary school providing quality Christian education for low-income families in the inner city. He went on to plant and pastor Community Life Church, a missional congregation in southeast Atlanta, and served as the Atlanta City Director for Mission Year, a national year-long urban ministry program focused on service and discipleship. In 2007 Leroy became President of Mission Year and led the organization until 2013. He also served as Co-Executive Director of FCS Urban Ministries from 2009 to 2013 and as Global Executive Director of Word Made Flesh from 2013 to 2015. 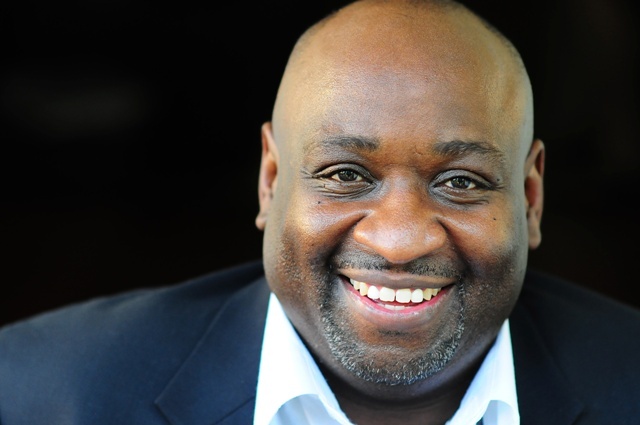 Leroy is currently the Executive Director of The Voices Project and Holla Mentors, organizations committed to supporting and developing leaders of color. He serves on the boards of the Christian Community Development Association (CCDA), The Simple Way and EEN, the Evangelical Environmental Network. He is the author of New Neighbor: An Invitation to Join Beloved Community, Everyday Missions: How Ordinary People Can Change the World (IVP), Red, Brown, Yellow, Black, White: Who’s More Precious in God’s Sight? (Jericho) and recently released, Embrace: God’s Radical Shalom for a Divided World (IVP). He was also a contributor to Tending to Eden, and the groundbreaking book UnChristian: What a New Generation Thinks about Christianity and Why It Matters. Most recently Leroy took a "stand" by kneeling down for the 2017 NFL season. (nflkneeldown.com #nflkneeldown) Leroy hopes to bring attention to racial injustice in America through his actions and voice for civil dialogue. The video about his journey took off and within a couple weeks had over a million views! Leroy has been married to Donna for the past 31 years and together they have five children – Jessica, Joshua, Joel, Asha Joy and Jonathan.